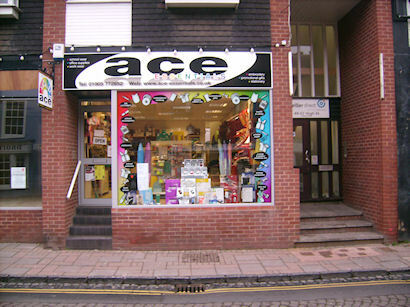 Based on the High Street of the Worcestershire town of Droitwich Spa, Ace Essentials combine the traditional and the modern to the benefit of its customers. We provide an old-fashioned level of personal service to help you find the best product for your requirements whilst taking advantage of latest technology to keep prices keen and ensure rapid delivery. As well as selling to the public through our High Street shop we also offer trade accounts to selected customers for added convenience.